The Tsukiji market (in-house) is where brokers and buyers make purchases of seafood, and visiters can observe the tuna fish auction. 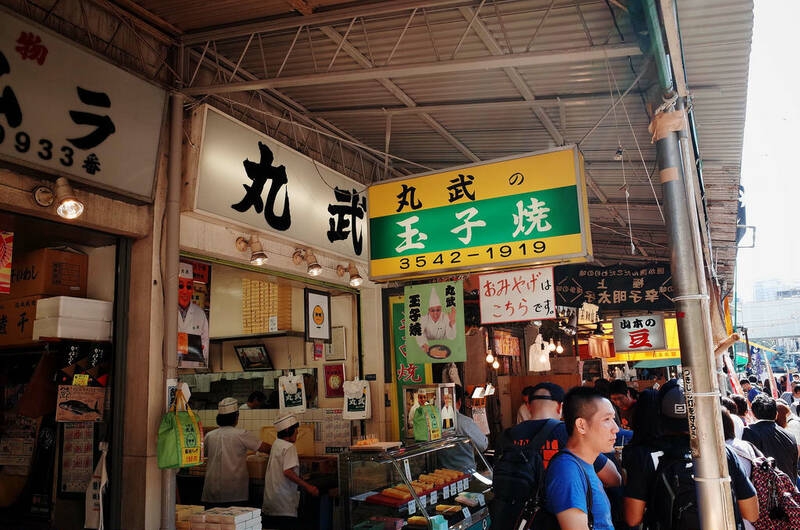 Outside of Tsukiji there has another market where customers enjoy eating and purchasing fresh and gourmet foods. There are various shops and foods to enjoy on site or for takeout. Marutake is a speciality store for Japanese thick omelet located on Namiyoke-dori street just outside of Tsukiji Market. It is an old established store doing business for last 3 generations. This is also the family home of Terry Ito, a famous Japanese TV director. Fresh eggs produced from contract farmers are sent directly to the store every day. The pan used by the cook has a weight of 1 kg or more, and it is difficult to bake, so it takes several decades to become a skilled in using this pan. Thick and fluffy Japanese omelettes are made with the special techniques of these cooks as well as fresh eggs with secret sauce, soy sauce, sugar, and salt. Closed in January and August, holidays, and days when Tsukiji market is closed. Tuna Miyako is located on Namiyoke street, just outside of Tsukiji Market. The store owner is particular about the wild fish and seafoods he uses. They sell cut off tuna which is popular for sashimi and sushi as well as various parts of the tuna and Indian tuna such as Kamatoro which is head and cheek meats. The classic takeout of this store is grilled seafood. Shell fish and sea urchin that are purchased at the market that day are grilled in the shells. Before serving, some soy sauce is put on grilled seafoods and seared on a burner. The soy sauce on the seafoods will boost the scent of seafoods. Closed on Sunday, holidays, and days when the market is closed. Various flavor and lot of fillings, popular Marutoyo’s onigiri (rice ball) and “Bakudan (bomb)”. Marutoyo is a speciality store for onigiri (rice ball) and Chazuke (rice with tea or stock poured over it). The most popular product is called “Bakudan (bomb)”, a big rice ball in which half-boiled egg. Rice balls are already wrapped with nori, so you can enjoy the soft texture of nori. The store serves various fillings for onigiri from common ingredients to unique fillings such as agedama (bits of fried batter), bonito, and green onion. 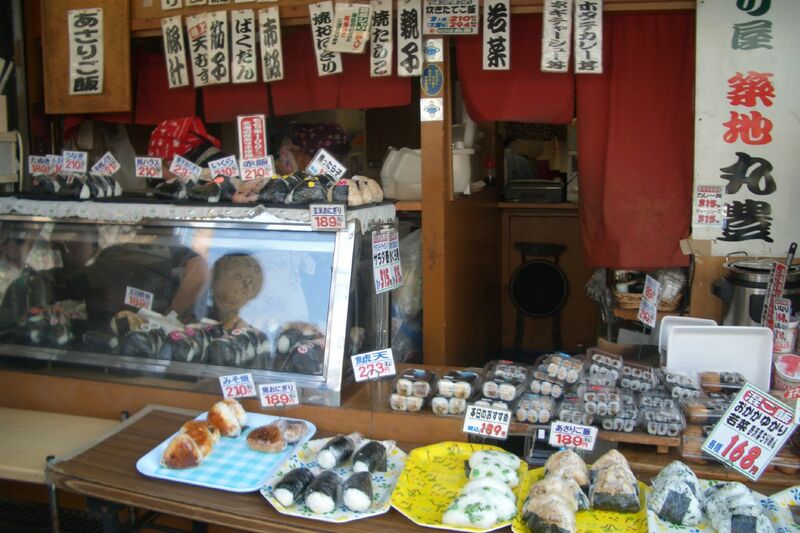 Besides the popular onigiri, the store sells rolled sushi and Kaisen-don (sashimi bowl). 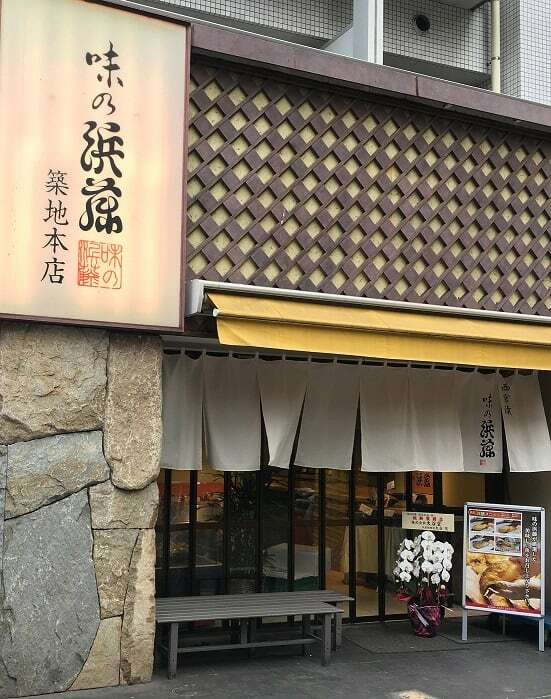 Aji no Hamato is a popular store known for takeout food such as Morokoshiage, Edamamezukushi, ika shumai (squid dumplings). Morokoshiage is a fried fish paste mixed with a lot of corn, and it especially popular for takeouts. The head store at the outside market of Tsukiji was renovated to add eat-in space in 2017. You can enjoy the set meal of grilled sable fish marinated in miso paste which is another popular item of this store. Aji no Hamato has a history of more than 80 years in business and has passed on the culture of Japanese cuisine using fish. The Yoshizawa store located at the Tsukiji outside market was founded in Ginza about 90 years ago. High-grade meats are sold at affordable prices at Yoshizawa store. Deli foods are another popular items such as home-made roast pork, menchikatsu (minced meat cutlets), and limited quantity menchikatsu using Matsuzaka beef which are all popular for walk and eat gourmet. 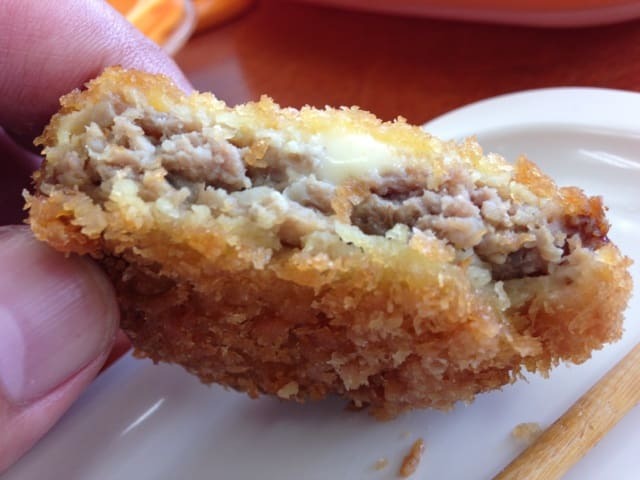 Menchikatsu is deep fried food made by mixing minced meat coated with flour, egg, and bread crumbs. When you bite into a freshly made menchikatsu, the juicy beef taste spreads into your mouth as well as the crispy outside texture. Tuna Taiyaki! Uniquely maned “tuna” for coarsely mashed azuki bean paste. 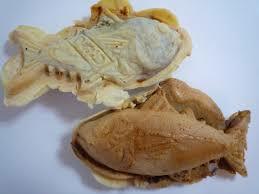 Taiyaki is snapper fish-shaped cake filled with sweetened azuki beans. Because Sanokiya’s cake mold is tuna-shape, it called “Maguro (tuna)-yaki”. The filling of coarsely mashed azuki beans is called ”ootoro” and a filling of apricot with azuki beans is called “chutoro”, they playfully named each items relating to a part of the tuna. The refreshing taste of home made ginger ale is sold at Sanokiya. Shaved ice (snow cone) with non-additive syrup is also available during the summer time. 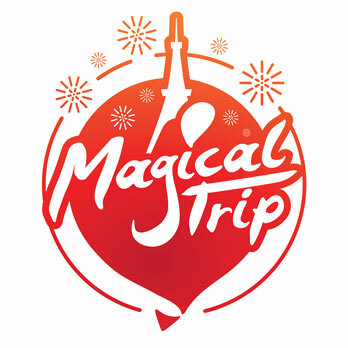 You can purchase fresh food and enjoy walk-and-eat gourmet at Tsukiji outside market. Because Tsukiji market opens early in the morning, most stores also open early morning and close around 2 pm. 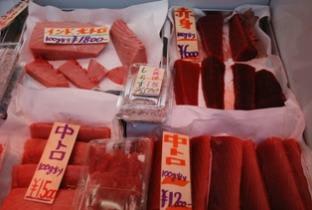 Besides Sundays and holidays, most stores are closed when Tsukiji market is closed.